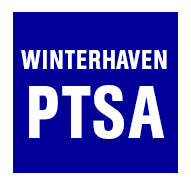 Due to Cleveland High School and Franklin High School having their Back to School Nights on Wednesday, Sept. 14, Winterhaven will be moving our Middle School Back to School Night to Thursday, Sept. 15. The Middle School Back to School Night will still be from 6 pm to 7:30 pm. The Elementary Back to School Night will still be on Tuesday, Sept. 13.